When it comes to running a business, many can find that there are a lot of plates to spin to ensure that the business is ran effectively. While some tasks can be taken off care off quite quickly, there are others that can require a larger investment of time. One such example is ensuring that the business accounts are kept up to date, as well as making sure that the business is meeting deadlines such as VAT payments, Corporation Tax as well as being able to offer bookkeeping services in Hatfield. One of the main reasons that businesses can feel tempted to deal with the accounts themselves is due to how expensive some solutions can be. There can also be confusing costs associated with some providers, which can often mean that you’re not entirely sure as to where your business stands when it comes to the service being provided. Those searching for a reliable accountant in Hatfield need to ensure that they are getting the service they pay for, as well as the correct level of expertise. 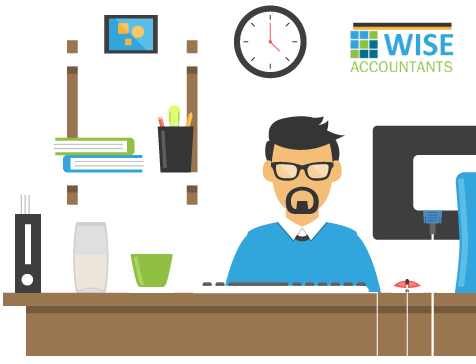 Having provided bookkeeping and payroll services in Hatfield for some time, Wise Accountants have plenty of expertise when it comes to dealing with financial commitments of a company or sole trader. Wise Accountants isn’t just an accountants firm in Hatfield; it is your helping hand that looks to guide you and your business through the ambiguous world of accountancy, without it being a hindrance. As well as ensuring your business is paying the correct amounts to the HMRC, it will also ensure that you’re not paying more than you need to, seeking out refunds where applicable. If you’re currently looking for a reliable and cost-effective accountancy service, or even looking for some initial advice, then why not contact Wise Accountants today to discuss your requirements in more detail.